Ever wanted to surprise guests with a conveniently located cellar? Instead of having to head back inside to find another bottle of Shiraz, the latest cellar package from Spiral Cellars could be for you – the Garden Cellar. By combining the newly developed weather-proof External Trap Door with the Original Spiral Cellar, the Garden Cellar is perfect for those who don’t want to rip up indoor flooring. The Garden Cellar is a great addition to any outdoor area which is kitted out with sophisticated furniture and outdoor kitchen equipment. Dinner party wines and those for longer-term cellaring can be stored in the garden cellar, but there is also plenty of room for storing odd garden tools and equipment – it is the ultimate garden shed! It is designed to be watertight and can be located in any garden setting, as it is dug into the ground and made from individual concrete modules. The Garden Cellar is fitted in exactly the same way as Spiral Cellars’ other cellar systems, with the exception of the External Trap Door, which features a unique drainage system to ensure the cellar remains weather-proof. Made from the Original Spiral Cellar, it is surrounded by a reinforced concrete ring to maintain the integrity of the space and withhold the ground pressure. It is also lined with a waterproof bag and is fitted with curved grey concrete modules, creating a rustic look which is ideal for the garden. 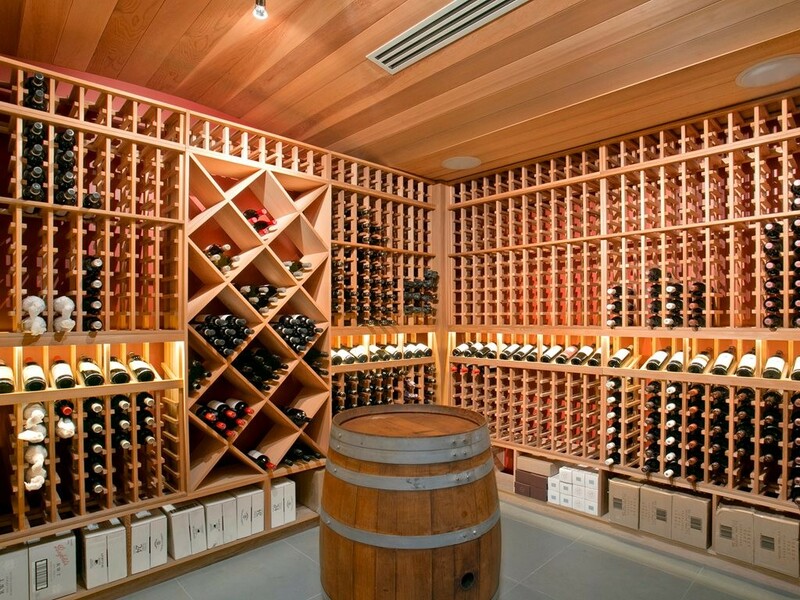 Ranging in depth from between 2-3m, the garden cellar can fit whatever number of bottles, or tools, need to be stored. The trap door of the garden cellar can be finished with the same flooring used in the outdoor area, whether it is stone tiles, artificial grass or decking. A mechanical system is used to open the door, with the switch placed within the property or an outdoor building.